Even in the eastern region which is a large-scale upland field that represents Japan, different weather disasters has started to occur frequently nowadays due to the impact of climate change. In order to maintain stable production even under such climate change and to carry out appropriate cultivation management, we need to elucidate the weather factors that affect crop growth and yield. We are promoting the development of a growth prediction system that predicts the time course and region more precisely than the conventional system, focusing mainly on major crops in the eastern region such as wheat. During winter, Hokkaido has many regions where the lowest temperature falls below −20°C. Regarding the soil frost depth, which may cause decrease in the yield, we are developing the technology to manage snow cover such as snow cracking and to properly control frost depth in order to maintain production while reducing work load of farmers. In order to actually use weather warning information and cultivation management support information, beyond the conventional AMeDAS (Automated Meteorological Data Acquisition System) observation network (average separation is about 20 km interval), we need to use weather information even for every smaller area. 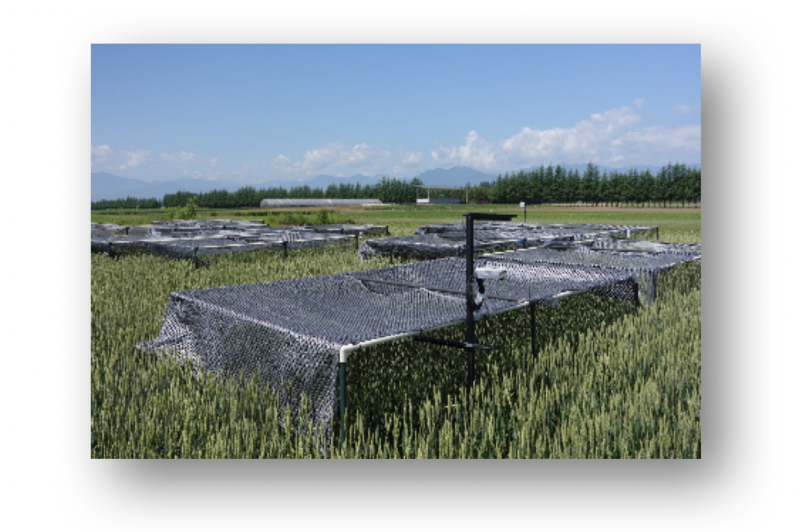 Therefore, we are also developing a system that estimates the detailed distribution of snow cover and snowfall estimation date using data of 1 km mesh agricultural weather system developed by the Agricultural Research Institute. By constructing a weather information system, we can tackle not only crop cultivation period but also cultivation management making complete use of weather information in winter period, information dissemination corresponding to weather change in snowy or cold regions etc.